Music has always served as a way to give the listener a sort of satisfaction. People tend to look for music that pleases the Mind and the Body, people tend to crave for melodies that are able to extract, from the deepest of the ethereal forms, a light that allows their darkest places to be filled with Hope that their future is Bright and free of Pain and Misery. But some of us simply do not walk the same path as those that society regards as… expected. Some of us look for Darkness amongst the millions of fragments of Light, some of us desire for moments of Despair and Hate, Pain and Blood, some of us do feel the warmth of the Somber, the tender touch of the Cold, some of us do have, many years ago, given up on people and merely walk this Earth with a constant numbness, a sense of Disgust and Repulse for those beings that populate this land. Ritual. Feeling. Senses. Death. Cold. Mountains. Old. 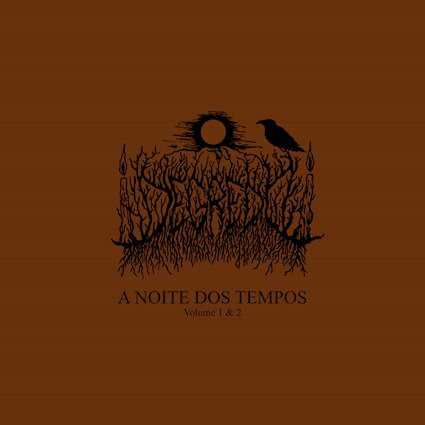 Taking stimulus from Portuguese Folklore and Nature itself, Degredo have given us pieces of Black Metal that lead my wandering spirit back to those mountains in the North. Music that permits the Being to craft mental images of a Darken Nature, a Nostalgic virgin inhospitable place where wolves are masters and rulers. A return to those days where Dark sounds walked hand in hand with a Dark mindset and a Dark aura. Four tracks, four long mid-paced tracks, four paths with one single destination… through these four pathways the listener will be taken on a journey to the deepest corners of his mind for the total of the album. Multiple feelings will be felt. A whirlpool of emotions: some of relief, some of discomfort… never will one feel unmoved to such pleasing musical constructions. A downward spiral that welcomes you with a Black Metal structure and drags you through sonic experiments closer to what we call Dark Ambient/Drone.